Listening to rare records of musicians is now possible when you purchase legitimate vinyl reissues from our store. Void Vinyl Records in Millville, New Jersey, also offers authentic CDs for sale. Our mission is to revive old tunes and provide our clients with the scarcest music records of all time. For more than 20 years in the business, we have become a renowned music store for vintage vinyl and record collectors. 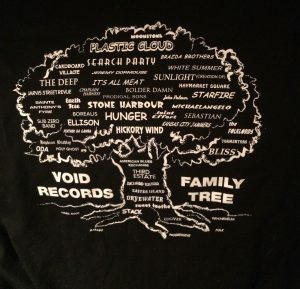 Void Vinyl Records brings you sounds that some listeners have never heard before. If you're looking for a specific album that's not listed in our site, all you have to do is contact us and we will provide you with additional inventory listings. Aside from popular tunes, we sell albums from smaller labels. We can even have your band's records reissued through our Monsters from the Void series. Vinyl reissues only cost $20 while popular albums that are not hard to find cost $50 or below. On the other hand, some rare originals cost as much as $1,500. Please note that we offer a full return and refund policy for items with proper insurance. We will also help locate and obtain authentic records with an initial 25% deposit from the final cost.